For the best in classic and modern home-inspired signature cocktails, pull up a stool at the HUUS bar. 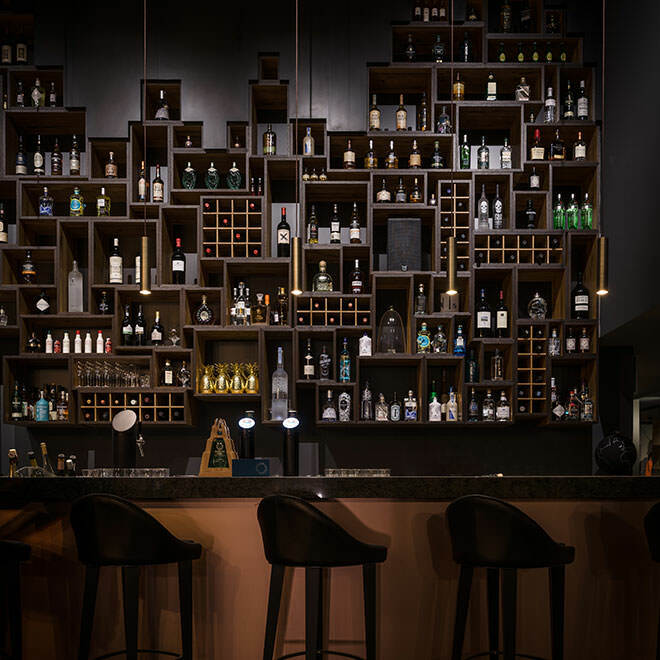 Home to an extensive whisky and gin selection, our floor-to-ceiling display boasts some 450 spirits, making it the highest bottle wall in the region. The bar team serve top quality drinks complimented by only the finest ingredients, with lemons, oranges, limes and pineapples all squeezed by hand. Executed with precision and beautifully presented, our back-to-basics approach to cocktail-making offers the guest something to experiment with. 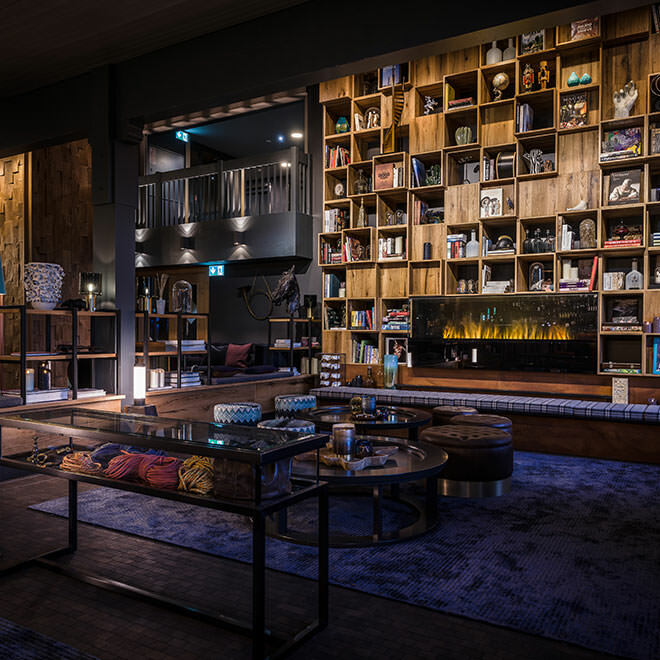 Open to both guests and their friends, the HUUS bar is the ideal place to meet and enjoy a glass of local wine or a post-dinner coffee in front of the fireplace or amid fresh Alpine air on the terrace. A weekly changing selection of bar bites are served in the lounge’s ‘Livingroom’ from 2pm until late. Enjoy unparalleled views of the great outdoors from both the lounge and the lounge terrace, where the accompanying crackle of the log fire and cosy corners make this a comfy place to be. For anyone who wants to observe the Saanenland’s unique plant and animal life more closely, the Zeiss telescope awaits in the Livingroom, where you’ll also find the HUUS library. Stocked with more than 500 books – ranging from cookbooks, travel guides, design and hotel books to philosophical reflections from Petrach on Mont Ventoux and Dante Alighier’s Divine Comedy, the library also boasts top sellers and classics from the Alpine countries for you to dedicate your adventure-downtime to. Pull up an armchair and rekindle a love of books in front of the fire. We’re open 24/7, so come on in. The ideal place to gather with friends and family, the terraces look out onto the surrounding mountain world and all its majesty. 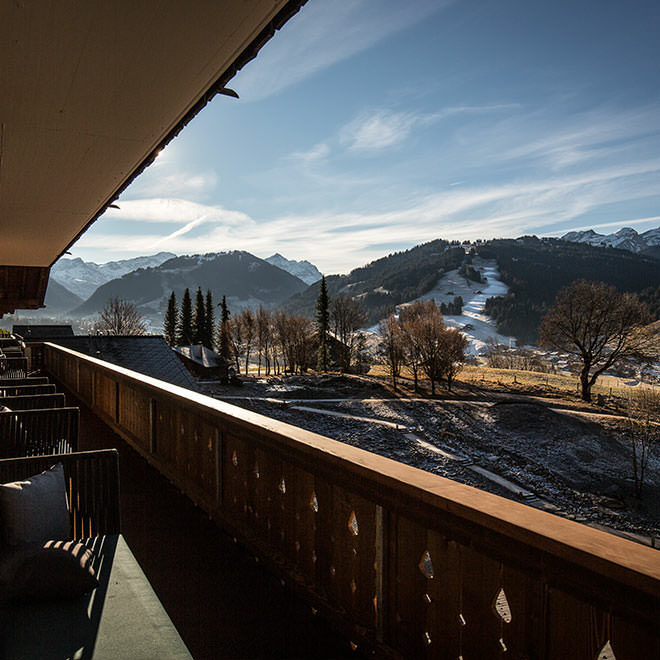 Bring along a game of cards or an indulgent mug of silky Swiss hot chocolate and watch the skyline transform as the sun sets beyond the Bernese Alps. Open 24/7, these are the best seats in the house.